I received the book featured in this post to facilitate my review. All opinions are my own. We have all sorts of educational fun in our house and I LOVE building activity and lessons off of neat books for my kids to read. 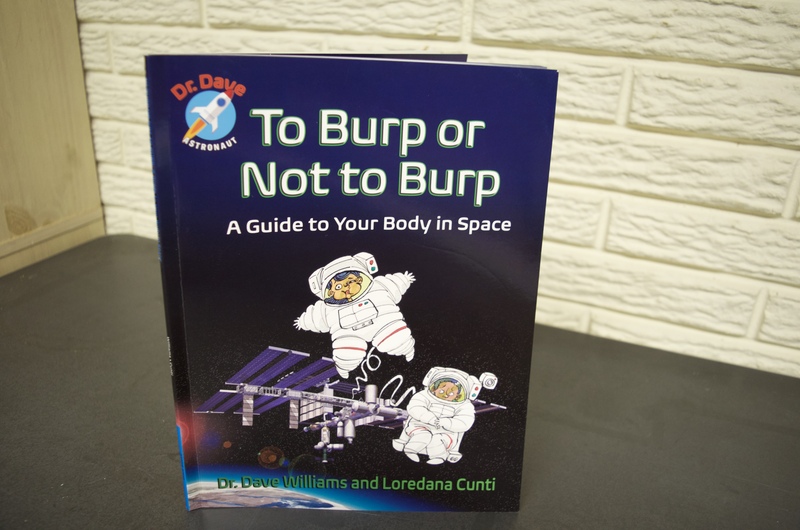 To Burp or Not to Burp, written by Dr. Dave Williams and Loredana Cunti, is grossly informative and fun for my boys – ages 7 and 9. Dr. Dave was on two flights on the Space Shuttle and performed three spacewalks on the International Space Station. He also lived and worked in the world’s only underwater ocean laboratory (to become Canada’s first dual astronaut and aquanaut). AND at the bottom of this post we’ve got TWO copies of this book signed by Dr. Dave himself to give away! If you didn’t figure it out from the title this photo says it all! My kids think this book is HILARIOUS and not only that it answers all those crazy questions your kids (and you!) might have about being in space! It’s SO highly informative and as I read through the book I found myself wondering about many of the facts that were covered – and read many facts I had never even thought of! How do astronauts use the bathroom? What happens when they pick their noses? What kind of underwear do they wear? Why is burping in space dangerous? 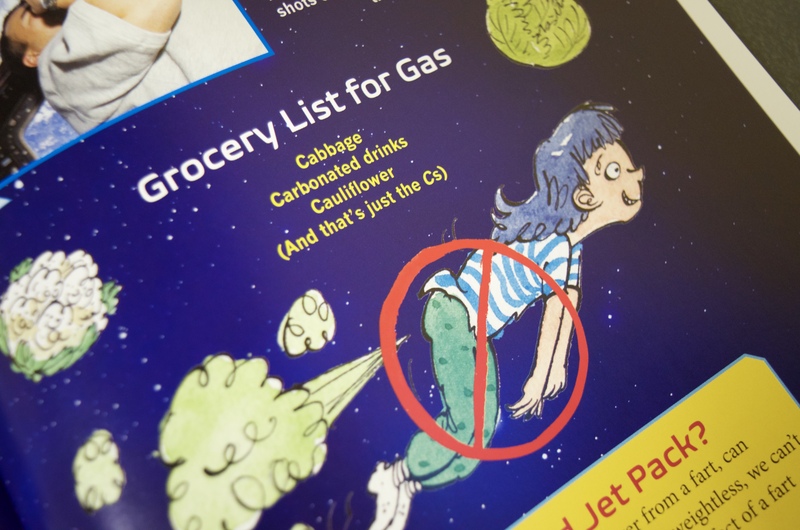 The illustrations are fantastic and really give you a visual of the unusual and sometimes silly facts about living in space. Although the book is great for any age it’s geared for children ages 7-10. In addition to the “gross” facts Dr. Dave also explains the science behind the strange physical phenomena astronauts experience, such as floating in midair, getting taller, and losing bone density. The book is written in simplified language that’s age appropriate and even has additional reading suggestions. It’s a pretty cool inside look into a career many kids want to be when they grow up! Books make great gifts for the holidays, incentive prizes, tooth fairy rewards, and stocking stuffers! Make sure to include To Burp or Not to Burp in your gifts this year! TWO winners will each receive a SIGNED copy of the book by former NASA Astronaut Dr. Dave Williams AND some astronaut ice cream! 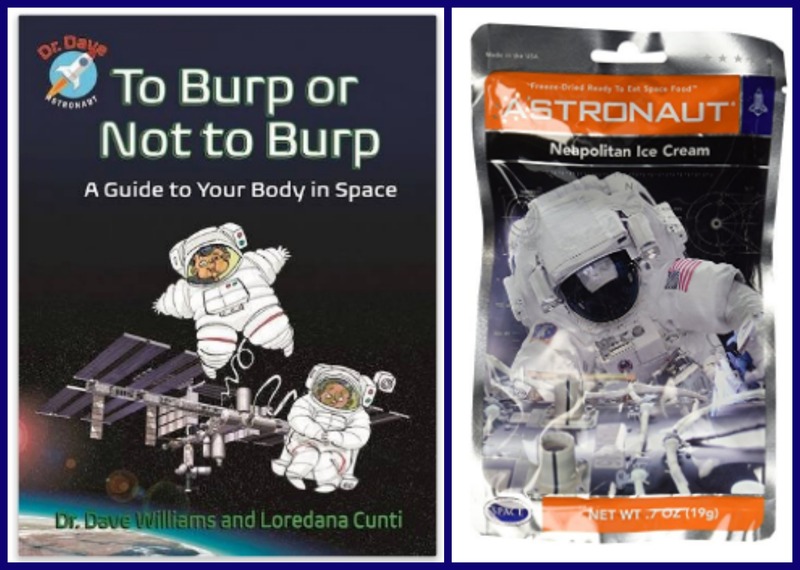 (Prizes will ship separately as I am providing the astronaut ice cream and the company is providing the signed book!) Open to US & Canada Residents only. (Canadian winners will receive $5 via Paypal instead of the astronaut ice cream.) Giveaway ends at midnight PST on Sunday Nov 27, 2016. Winner will have 48 hours to reply with shipping address. TO ENTER leave a comment below letting me know who you would love to win this astronaut prize pack for! Congratulations to Kathy & Courtney for winning this giveaway! I would absolutely LOVE to win this for my prekindergarten class! We love science, and we love silliness even more. My little guys would love this book! I would give this to the 5th grade science teacher at the school where I teach. She has gotten Alyssa Carson to come and speak to the students at our school, spends countless hour at the observatory and is just a big space geek. My grandson, Logan, is crazy about space and Science. I’d love to give him this book! I’d like this for my classroom. My First Grade class is always so full of questions about everything, including space (and pottie humor)! We are also trying to increase the children’s interest in STEM through projects, coding, and literature. This would be a great edition. My daughter wants to be an astronaut and an author when she grows up. She is 5 and has been talking about being an astronaut since she was 3. 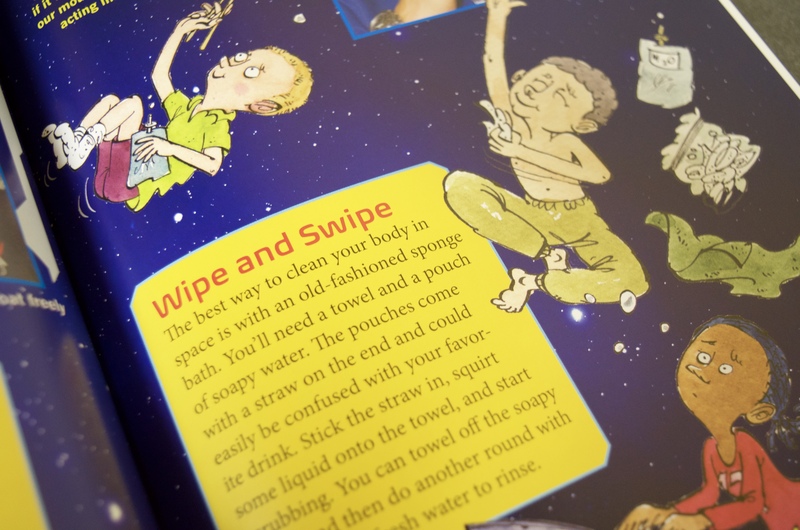 I believe she would love this book, especially, since she loves anything gross as well anything about space. Our kids’ school is just finishing their unit on our solar system and both our kids are so interested in space right now. We would absolutely love sharing this with them! I would love to give this book to my “Little Stargazer!” He recently was accepted into the West Michigan Aviation Academy only to find out that his dreams of being a pilot, and maybe even an astronaut someday may never come to fruition because of the medication that he has to take on a daily basis! Apparently, the FAA doesn’t allow Pilots you to take any medication for any medical issues whatsoever for the most part. But for now my son is keeping his dreams alive, and I know he would love to own this precious book! I would love to win this for my daughter. I think it would be a great book and snack for a homeschool lesson. These books would make a great addition to our elementary school library. I’m always looking for fun, fact filled books to add to our collection. I would love to win this for my third grade class. 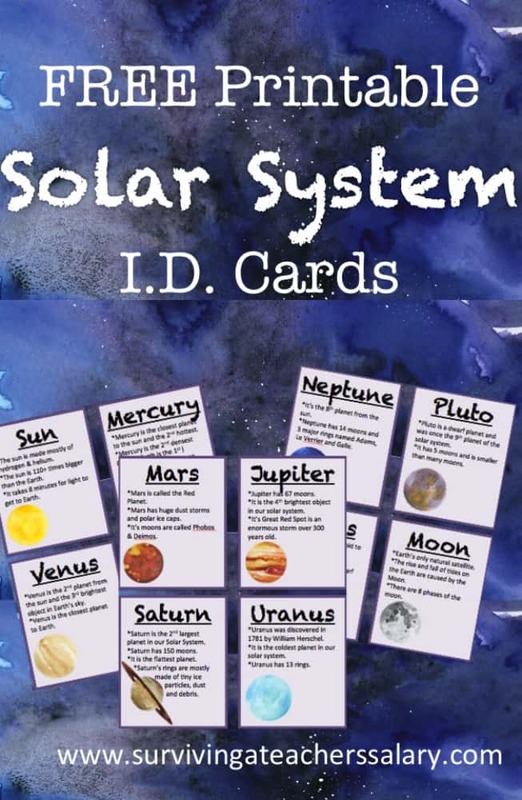 We are about to start our solar system unit. After watching the recent launch on Nasa”s Twitter page, my students are extremely curious and their imaginations are running wild! They would definitely enjoy this! 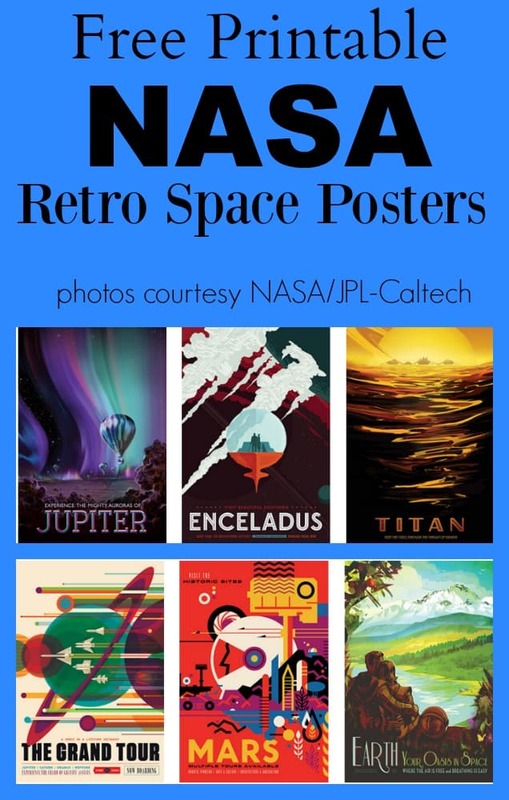 I would love to win this astronaut prize pack for my grandson. 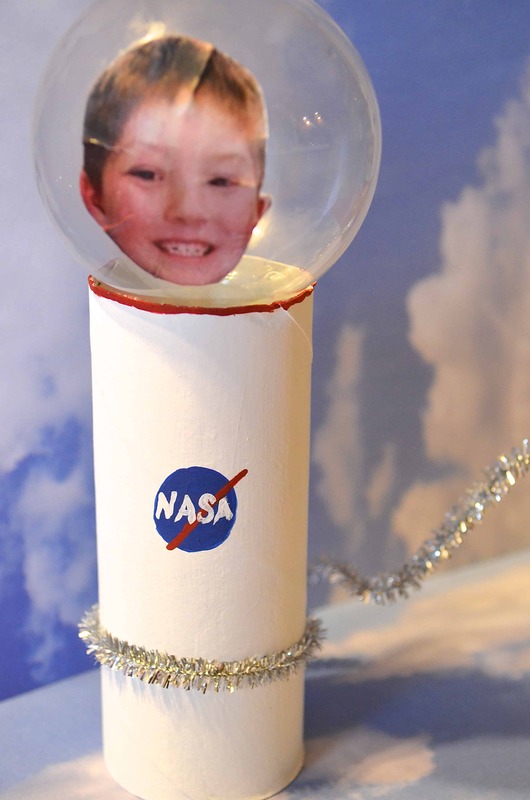 He is seven years d now and is so into space!